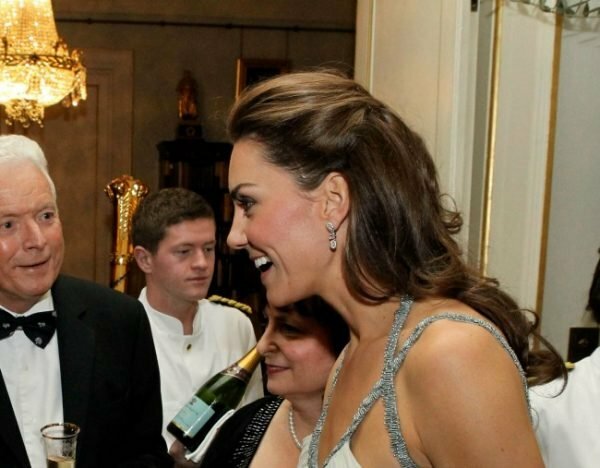 Here's the hidden reason Kate Middleton always wears her hair down! It's basically unheard of to see the Duchess of Cambridge without her perfect locks flowing around her shoulders. Whether she's at a special event or even sailing, you won't often catch Kate Middleton with her hair tied back. Well, it turns out there's actually an explanation for this, rather than that she's just perfect 100% of the time. The Duchess is apparently concious of a large scar running down the side of her head. The scar sits behind her hair line, stretching roughly seven centimetres from just above her ear towards her forehead. "The scar is related to a childhood operation," The Kensingston Palace said in a statement. It's unclear what the surgery involved, but John Scurr, a consultant surgeon at the Lister Hospital in London said "I really doubt it was any serious medical condition. I would say it is as a result of an arteriovenous malformation - a birthmark - being removed." Well there you go, even the royals aren't perfect! We think you look stunning regardless Kate, no need to hide your scar!